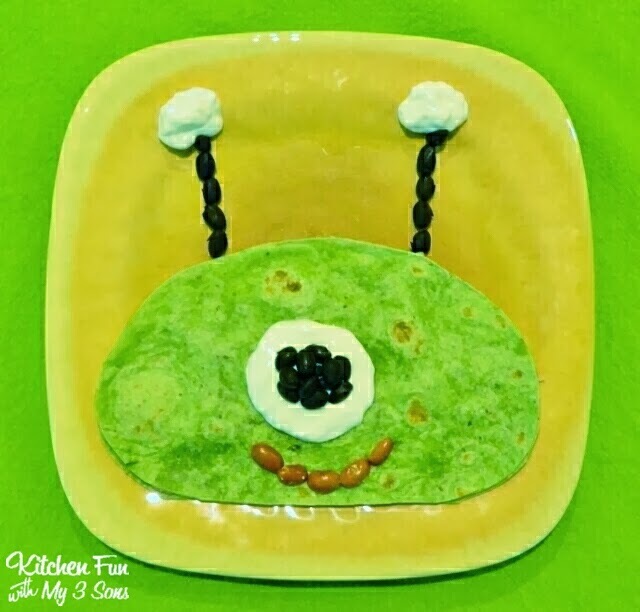 I was going back on our fun food creations from the past that we haven’t shared & came across this fun Alien Quesadilla that my oldest (then 7 years old) made all by himself! 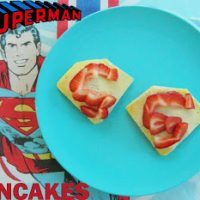 Super easy to make & a fun lunch or dinner for the kids! Start out by folding over the tortilla & then cutting around the edges using kitchen scissors into what ever shape you want for the head. Add the black beans, rice, & cheese in between the tortillas. Grill or melt in the microwave. 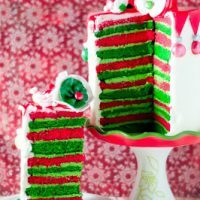 He decorate the face & antennas with beans & sour cream. 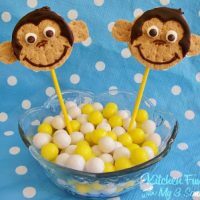 You can view all of our other fun food Kids Dinner creations HERE!